Cinépolis, the biggest cineplex chain of Mexico is in fact the fourth largest in the world today with 656 multiplexes and 5,323 screens! Heading his family business, Alejandro Ramirez Magaña, CEO of Cinépolis is a man with a global vision of cinema exhibition. The NATO honors him with the 2018 NATO Marquee Award for his unequalled dedication, commitment and service to the cinema exhibition industry. Cinépolis is the biggest cineplex chain in Mexico and is the largest chain in Latin America; it is in fact the fourth largest in the world! Alejandro Ramirez Magaña serves as the Chief Executive Officer (CEO) of Cinépolis, which has operations in Mexico, Brazil, Spain, India, the United States, Colombia, Chile, Argentina, Peru and Central America. 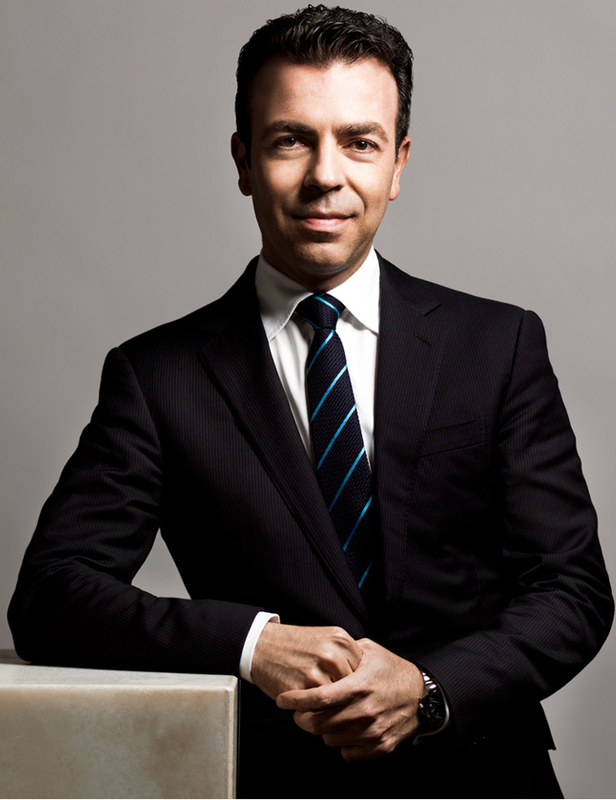 Alejandro served as Mexico´s Representative to the Organization for Economic Cooperation and Development (OECD) and as Technical Secretary of the Social Cabinet in the Executive Office of the President of Mexico. He has worked for the World Bank and the United Nations Development Program in the areas of poverty and human development. He is the Chairman of the Mexican Business Council, the most influential business organization in Mexico, and of the Morelia International Film Festival. He serves on the Boards of BBVA Bancomer, the Mexican Competitiveness Institute, the Sundance Institute and the Harvard Board of Overseers. He was appointed a Young Global Leader by the World Economic Forum in 2005 and co-chaired the WEF´s Annual Meeting in 2012. Also in 2012, President Calderon appointed him as Chair of the B20, the G20´s Business Summit. The National Association of Theatre Owners (NATO) will honor Alejandro Ramírez Magaña with the 2018 NATO Marquee Award during this year’s CinemaCon. Mr Ramírez has been chosen by NATO for his unequalled dedication, commitment and service to the motion picture theatre industry. He will receive his industry tribute as part of CinemaCon’s “State of the Industry: Past, Present and Future” presentation. 1. Congratulations for the NATO Marquee Award 2018 at CinemaCon! How does it feel receiving the award and what does this award mean to you? It is an honor that my job in this industry is recognized. It’s certainly not for one person but an award for the team of very talented people. It was a pleasure to know that I’m the first Mexican to receive this award. It impels me to continue striving. 2. How did your tryst with Cinepolis begin? Where did it all start? Cinépolis is a family business founded by my grandfather Enrique Ramírez Miguel, my father Enrique Ramírez Villalón and his brothers, 47 years ago. I formally became part of the company in 2006 when I became Cinépolis’ CEO. I had earlier served as the COO between 1996 and 1999. 3. Tell us more about the Cinepolis Foundation and the corporate social responsibility aspect of Cinepolis. Having worked for the World Bank and the United Nations Development Program in the areas of poverty and human development, you surely have a better understanding of this side. I believe it’s through the actions of citizens and businesses that we can have the biggest positive impact and contribute to solve some of the most pressing social problems. Fundación Cinépolis operates since 2006 and one of its most important programs is “Del Amor Nace la Vista” (Sight grows out of love), which has restored the sight of more than 40 thousand people with cataracts. Another program is “Ruta Cinépolis” (Route Cinépolis) that takes the cinema to the most vulnerable communities of our country, allowing over 400 thousand people to discover the movie going experience since 2009. 4. Taking a retrospective look, Mexican cinema industry has evolved with various historical developments including Mexican Revolution. How do you see this evolution? The Mexican movie industry, since its beginnings, has been a reflection of our national reality, and like in other countries, it has faced political, economic, cultural and technological changes. In the last 10 years, it has had a very important growth and has managed to develop a market strongly competed by Hollywood. Currently it represents 10% of the total box office. 5. Mexico City is the fourth largest film and television production centre in North America, as well as the largest in Latin America. How would you describe the present scenario of cinema and cinema exhibition? The exhibition industry in Mexico is one of the strongest in the world. In Mexico there are two of the ten largest exhibitors in the world. Cinépolis itself ranks fourth in the world in terms of number of movie theatres and second in number of movie attendance, with 338 million customers visiting our cinemas in 2017. This shows how strong the Mexican exhibition industry has become. An industry that continues to grow and innovate… And as for the production of Mexican cinema, there are around 80 Mexican films released annually. During 2017, 348 million tickets were sold in Mexico, which repositioned our country as the 4th country with the most tickets sold in a year, only after India, China and USA. Likewise, in the same year, 16,661 million Mexican pesos of revenue were generated in the box office (approximately 898 million dollars). The operation of thousands of Cinépolis movie theatres means direct employment of thousands of people. In most cases, Cinépolis employs young people, who in the cinemas have access to their first job. The building of new cinemas also involves the generation of indirect jobs, mainly in the construction sector. On the other hand, the expansion of the cinema infrastructure towards small and medium-sized cities has contributed to regional development, since the new cinemas are the anchor and the raison d’être of new shopping centres that drive the exchange and services. Likewise, the cinema industry contributes to regional development by virtue of the annual payment it makes to local governments of the property tax. In fact, the industry contributes to public finances through not only the payment of the property tax mentioned in the previous paragraph, but also of the payment of the income tax corporate and the derivative of hiring of employees, of the tax on Payroll, from employer contributions to social security schemes, and from value added tax (VAT) payment. Finally, there is a wide range of companies that benefit economically from the supply to the movie theatres from its construction until its daily operation. These include cinema armchairs manufacturers, projector suppliers, food and beverage providers, advertising and marketing agencies, among many others. 7. In these times of booming multiplexes, what makes Cinepolis different from other cinemas? Cinépolis is a family business in Mexico that managed to become a global company, with presence in 14 countries and which bases its strategy mainly on two points: customer service and constant innovation. This is what I think makes us different from the competition. 8. How many multiplex cinemas does Cinepolis operate world over? What are your expansion plans? Cinépolis operates 656 multiplexes, 5,323 screens. We hope to open more than 600 new theatres in the 14 countries we operate. 9. Cinépolis is one of the fastest growing multiplex chains in India. How would you compare the cinema industry in India and rest of India? It would be interesting to understand the box-office dynamics in terms of the genre of films appreciated, audience expectations, screen count and so on. The industry in India, unlike the other territories where we operate, is highly dominated by local content, not only Bollywood, but the rest of regional industries. In India, more than 80% of the box office comes from national content: 60% comes from Bollywood, 20% from other regional industries and the remaining 20% comes from Hollywood. Another peculiarity is that, considering the importance of the regional content, the programming is practically done theatre by theatre. There are movies that only work in one state and do not work in the rest. The number of films is very high, releasing approximately 15 titles per week, which is a challenge to program efficiency. The most seen genres in India are drama, comedy, action and horror. Lately the historical and mythological films have been very successful. Last year Bahulabi 2, from Tollywood, was seen throughout India and broke all the records of the history of cinema in this country. Another interesting fact is that in India there are 11,000 screens, of which 8,500 are “single screens” of a single room and at a very low average price. And only 2,500 are multiplexes with modern rooms. The number of theatres has not grown in the last seven years, but multiplexes have been replacing single screens. Single screens have been closed and multiplexes have been opened to replace them, so the potential is still very large. Customer expectations are not very different from those of customers in other countries, although we have seen how they have evolved. Each time they become more demanding, they look for quality services and the Indian customer is very sensitive to the price. The challenge is to find a balance between offering low prices and high quality products and services. 10. What are your expansion plans in India? Discuss some strategic initiatives. Regarding the expansion plans, we have 335 screens. We want to reach 400 by the end of next year. Regarding our strategy, we want to continue improving. Our food and beverages offer is low because the consumption is still low if we compare it with the consumption in the other countries where we operate. And another strategy is to seek to exploit the installed capacity of these single screens as a growth path; remodel them and be able to turn them into small multiplexes. 11. Talking of growth trajectory, how would you sum up the secret of your success and that of Cinepolis’? Consisting of a talented, creative team with a global vision of the industry, and constantly growing is what has makes Cinépolis such an important chain of cinemas worldwide. And as I mentioned before, we are always focused on improving the experience of our customers, through constant service and innovation.